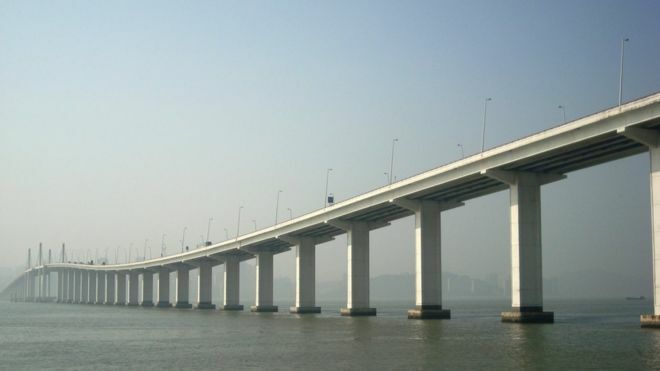 Stretching more than 55km (34 miles), the Hong Kong–Zhuhai–Macau Bridge spans the Pearl River Delta and is an unparalleled engineering feat. 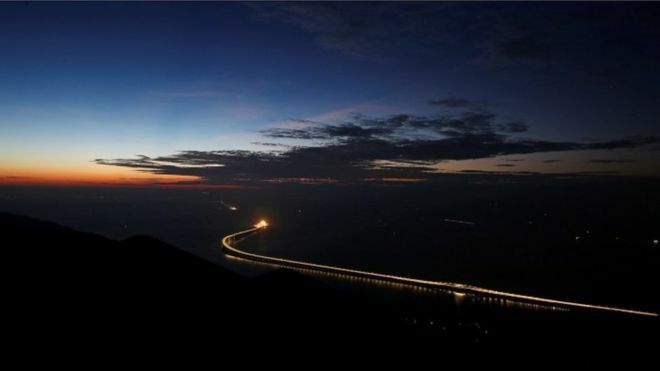 From end to end, including its two link roads, the bridge is about 20 times the length of San Francisco’s Golden Gate Bridge. The structure is designed to withstand earthquakes, the seasonal typhoons which tear through the region and accidental ship strikes. 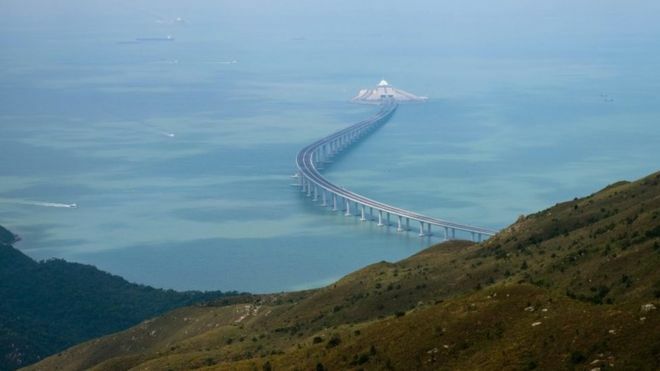 To allow ships to continue passing through the estuary, the bridge plunges underwater for 6.7km midway, via two artificial islands. 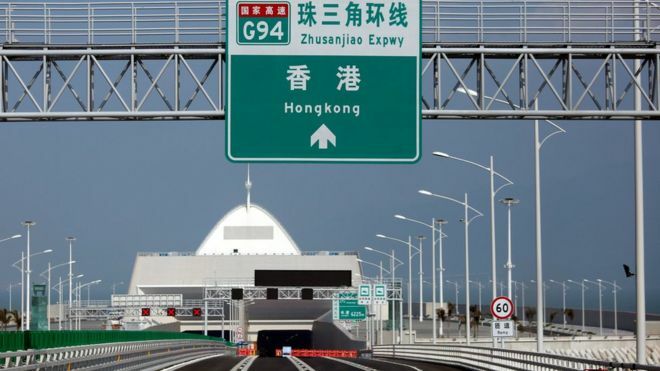 The project also crosses the flight path of Hong Kong’s international airport. That meant engineers had to stay within a strict height limitation. Construction on the project began in 2009 but has been marred by delays and safety concerns. 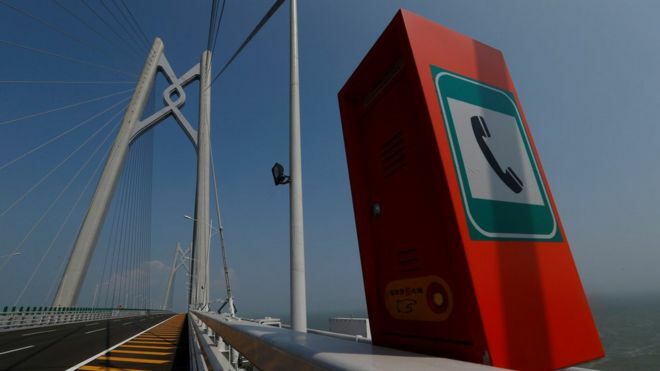 It has repeatedly overshot its budget, ultimately costing more than $20bn (£15.3bn). The original opening date had been set for 2016 and even the actual opening this month had not been confirmed until just before it happened. The bridge has not only overshot budget and schedule but also taken a deadly toll on the workforce. 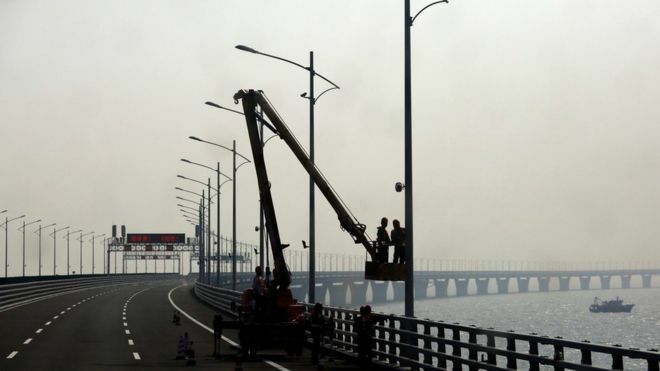 Hong Kong and mainland Chinese authorities have each reported nine worker deaths during the work. 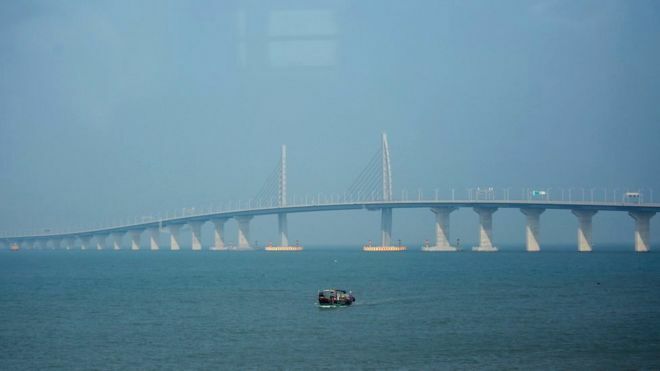 The bridge connects three very different parts of China – the two Special Administrative Regions of Macau and Hong Kong and the mainland. That means the project stretches across different legal and political systems. 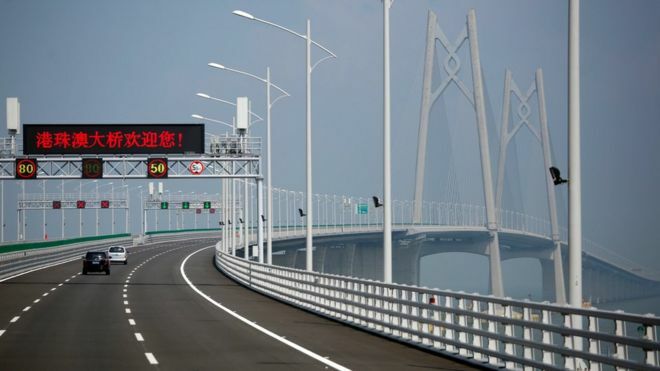 Buses and commercial vehicles will carry passengers and freight over the bridge. Local taxis are not allowed on it and only a few private cars will get a permit to cross. 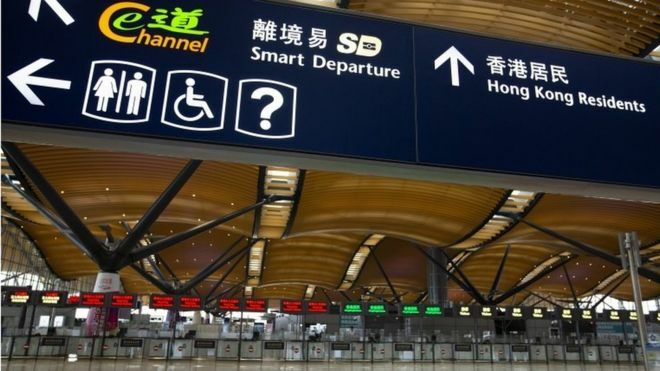 Travelling between Hong Kong and the mainland requires passing border controls. 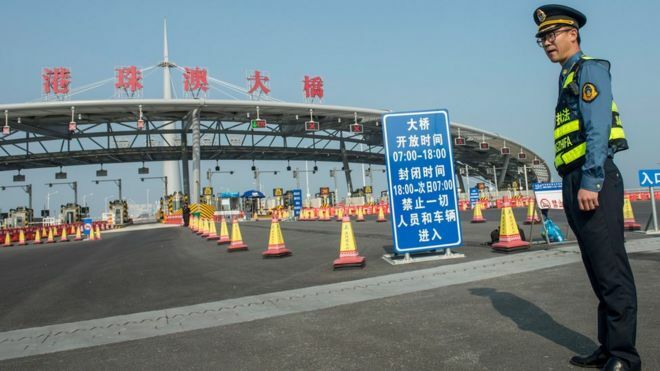 Two immigration centres have been built to process bridge users. Why has it been built? To save time. 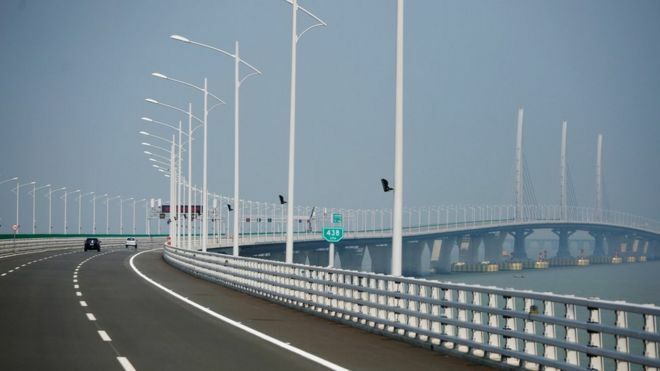 The land journey around the delta takes at least four hours – the new bridge is to cut it to a mere 30 minutes. 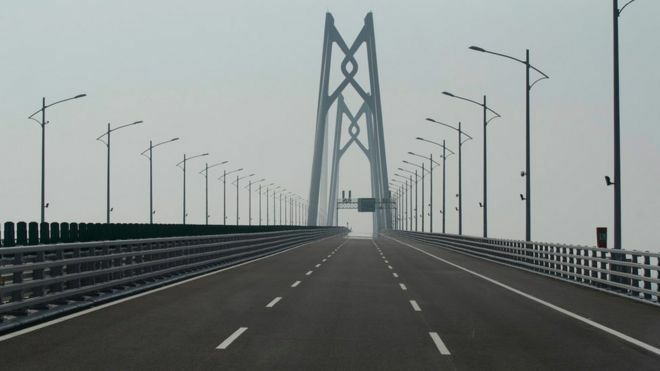 But some in Hong Kong have questioned the purpose of the bridge, saying no-one really needed it and that it’s largely an attempt to symbolically bring Hong Kong closer to the mainland.